The Fur Coats’ ‘Mirror Gazing’ EP is a deep dive into our raw humanity, stripping life down to its core in a beautiful exploration of emotion and connection. I was looking at myself in the mirror and suddenly saw myself, not my reflection, but my self. The Fur Coats’ sophomore EP strives to understand what it means to be human: To live, to love, to experience and to remember; to emote and feel others’ emotions; and so on. In truth, these concepts are too big for us to grasp through words alone: What do you mean, to experience? How does one capture the magic of cognisance – the miracle of self-awareness, or the marvel that is individual consciousness? 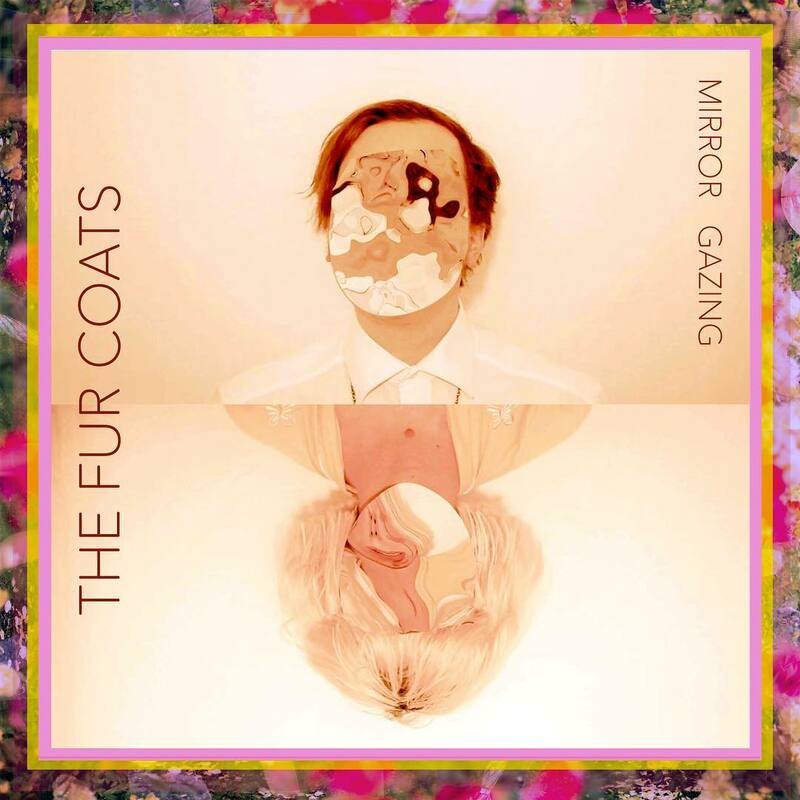 The Fur Coats’ Mirror Gazing is a deep dive into our raw humanity, stripping life down to its core in a beautiful exploration of emotion and connection. Atwood Magazine is proud to be premiering The Fur Coats’ Mirror Gazing EP, independently out this Friday, July 12, 2018. 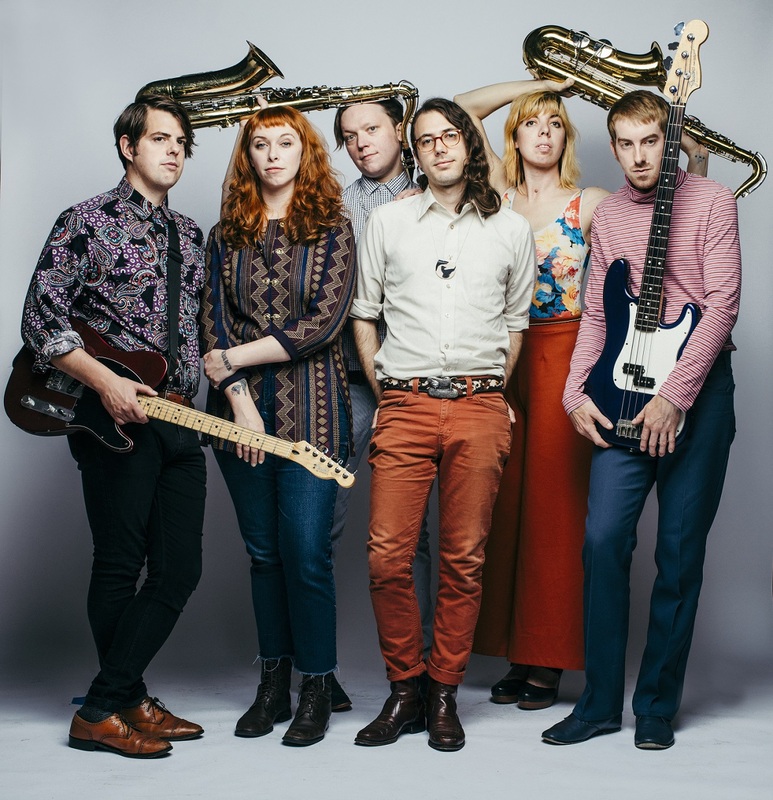 Hailing from Portland, Oregon, the six-piece psych/soul/pop band is led by “American sweethearts” Chris Karl and Betty Downey, supported by Nathan Weber, Anna Tyler, Jacob Early, and Matthew Lynch – members of Charlie Hilton and Reptaliens. 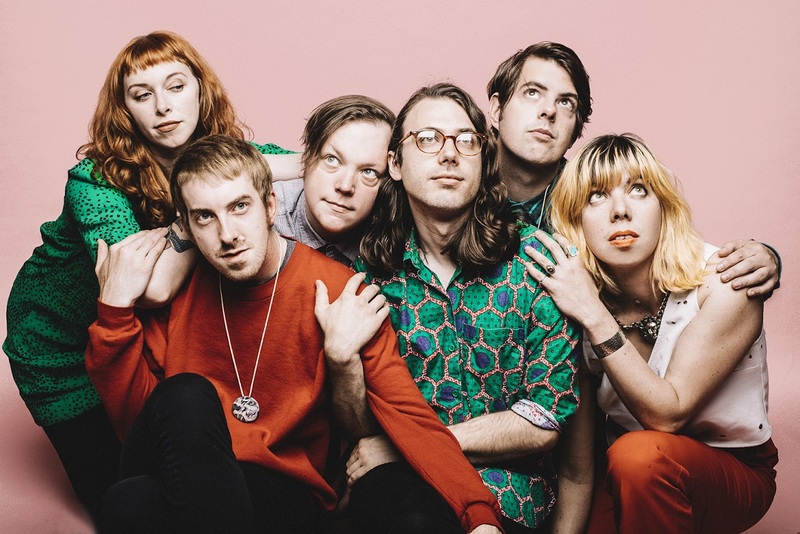 Prone to lush, psychedelia-inspired richness, The Fur Coats are well on their way to carving out a piece of the psychedelic pop world that is all their own. Their music is not for everyone, but for those whom it does speak to, Mirror Gazing provides endless nourishment – food for the soul, so to speak. From the funky flavor of opener “Real Love,” to the bittersweet harmonies of the eyes-wide-open “We Live,” and the dragging pulse of the soul-searching “In the Garden,” The Fur Coats provide a soundtrack to our innermost introspections – times of brooding solitude and reflection. “All of ‘Mirror Gazing’ is about what you see when you really see yourself,” the band explains. The fact remains that few people “really” see themselves; we lead long, busy lives with little respite. We are always on – gone are the days of the “brb” text – and with that everpresence, we forget the value of alone time: Moments we would otherwise spend getting to know ourselves better, and just feeling what it means to be alive. Perhaps as artists, The Fur Coats can help remind us of life’s deeper core meanings; they can reposition us, so that we realize just how fleeting our stressors are, and how much more important our relationships might be. There’s a lot to gain from listening to Mirror Gazing – about as much as we might gain from actually spending some time with our true selves, if we can ever find them. Experience the full record via our exclusive stream, and peek inside The Fur Coats’ Mirror Gazing EP with Atwood Magazine in our record release interview! Atwood Magazine: How do you feel The Fur Coats have evolved musically over the past five years? How does Mirror Gazing best depict that growth and change? Chris Karl: The first songs were mostly Garage and Go Go, but when I realized how amazing everyone was, We started writing stranger and groovier songs to bring to practice. I think Mirror Gazing is more the start of our new feel than it is an extension of what we started with. Betty Downey: I agree. Chris and I started writing together a couple of years ago and we brought a lot of our new songs to this EP. It’s hard to pinpoint exactly what changed there and why, but Mirror Gazing definitely shows the transition and connection of our songwriting. It doesn’t really feel like that long ago, but I guess a lot has happened since then. You open with “Real Love,” a song that is as funky as it is heavily inspired by new wave and more. Why begin there? CK: Well…There are a few philosophical reasons that I could get into, but really it just opens with a really good groove. B: Yeah, it gets your attention. I like to think of this song as a good jam to put on as you’re getting ready for a hot date, but for a hot date with yourself. Like you’re putting your lipstick on and fixing your hair, checking your look in the mirror and.just crushing on yourself. The music video, by Costa Gountanis, plays around with that imagery, and although that’s not exactly what the song is about, that vibe is there. “We Live” seems to drift into and out of itself, with dreamy vocals falling over psychedelic lyrics. Can you speak to that song’s symbolism? B: The moon. It feels kind of cliche to say… but the moon also rules 70% of our planet and 50% of our bodies…and our astrological signs, if you believe that… or if you believe in the moon at all, haha. Truly though, this song was very much inspired by it and its phases – but it’s actually just about us, me…you. It’s about being new, and about being in the process of change, about being full, and what being “full” really means. I love everything about “In the Garden.” It’s such a strong track that grows and grows over time. How did this song come about, and why use the garden imagery? B: Firstly, thank you! I think that there’s always this question in your mind about whether or not something you’ve made will be understood, or appreciated, or liked, or even loved… and this track in particular was always a concern for me because the mood and imagery could be misinterpreted. CK: I think of this song as a faux religious allegory about how everyone believes in Gods that have created perfect places that are impossible (or very hard) to get to. To me, it’s a metaphor for a lot of things in our lives. B: Absolutely. The imagery is pretty “biblical” but the message isn’t about religion, it’s about togetherness. I had been feeling frustrated, as I’m sure a lot of people were in 2017… and still are, about the lines being drawn between groups of people, and these groups just felt like they were getting smaller and smaller, and more and more divided. I just wanted to write about the fact that we as a species came from the same place – and we’re all growing and we all want really similar things. Starting in the garden and surviving the desert is meant to tell the story of everyone. A garden is relatable because it’s so many different ‘things’ growing from nothing -starting in darkness, moving toward light- and becoming something else entirely…together. Can you speak to the downtempo elements in “Transmortal Vibes”? What inspired the line, “It’s a small and delicate moment of freedom when you’re watching the membrane shine.”? CK: I have a close friend who stopped by my house one night. We got into a conversation about how sometimes when you are talking to someone that you’ve just met, you can see and feel a very real connection that is hard to explain. I think it might have something to do with the possibility that the universe started as a singularity and has been expanding and contracting ad infinitum. That line is about that real and inexplicable feeling. B: That line is particularly special to me because although the lyrical outline was already there, it was the first time that Chris and I kind of “workshopped” some lyrics together. It was a significant moment for me and I was really feeling that unexplainable shiny membrane. “Transmortal Vibes” seems to take a heavy look at life – if not saying anything definitive, it at least questions our purpose in our transience. Thematically, how does this fit into Mirror Gazing? CK: All of ‘Mirror Gazing’ is about what you see when you really see yourself. Some of the songs are about what you want, some are about what you have, and some are about intangible things that you feel but can’t define. Everyone has those feelings and this song is an attempt to express them. Did you set out to in any way create a thematic EP? B: We started by putting songs together that we felt strongly about. During that process I had this moment where I was looking at myself in the mirror and suddenly saw myself, not my reflection, but my “self”. It was really weird and made me feel a little uncomfortable at first, but after looking at myself for a while I began to feel almost euphoric – like I was having a real sober… or mostly sober, out of body experience. Later that week I was talking about it to my friend, Sam Smith, and he told me all about mirror gazing, as a metaphysical practice and form of personal therapy. It’s also been used to communicate with the spirit world- which made sense because I guess I felt like I was seeing my spirit, my true self. In really seeing myself, I opened up to my relationship with others, my relationship with my world, and to the microcosm and macrocosm in a completely new way. I wanted this collection of songs to share that feeling. CK: I feel like whenever you write a lot of songs in a small amount of time they’re usually informed by the same subconscious feelings and thoughts. I don’t know if these songs were intentionally written to be a set, but they seem to want to be together. Finally, what is it about “Don’t Be Cruel” that makes it the fitting closer it is? B: The EP starts with what I see as this playful love song intended for one person, then “We Live” is relating yourself to your larger environment. “In the Garden” starts telling the story of everyone. Then, “Transmortal Vibes” introduces the idea that environment isn’t necessarily tangible, and finally, “Don’t Be Cruel” sort of bookends the concept by bringing it back to just you and your own existence. CK: It feels fitting to me because it’s so spacious. Breaks and breathes are things that can hold feelings we have when we’re about to end something or start something new. Now that Mirror Gazing is about to release, where are The Fur Coats headed next? Does this sound and mentality continue to define you, or are you advancing beyond it already? CK: Physically, we’re heading back to Europe in September – which we’re really excited about! Song and vibe-wise, I think we’re finding a sound that we keep getting more comfortable in. B: 100%! We’re always working on new things and asking ourselves how we can better connect with people, and that mentality sticks with me. There’s no way it can’t, because every song you write changes the way you write the next one. We’re definitely growing and moving forward- is there any other way anyone can go?